Does H&M’s Modest Fashion Line Hit the Mark? Earlier in May, H&M became the latest brand to try its hand at appealing to Muslim women with its launch of a modest fashion line – but their attempt misses the mark, and shows the company failed to grasp what Muslim women really want. 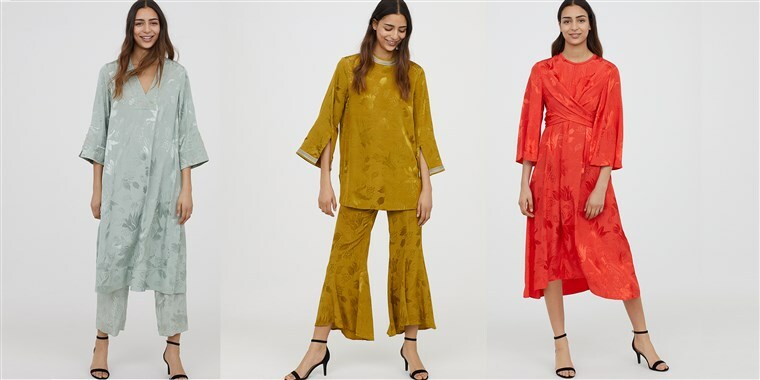 The H&M Ltd. collection is replete with sheer sleeves, transparent blouses and skirts with linings that don’t match in length, leaving modest dressers to make the same adjustments they’ve been making all along. Modest dressers already know how alter current fashions to fit their standards. It’s how they’ve gotten by this far. Muslim women aren’t hurting for more sheer-sleeved blouses. What they need is clothing that cuts out the work — and layering — for them. Muslim women don’t have the market cornered on modest fashion, and not all modest dressers have the same standards, which can vary according to religious background or personal preference, but it’s clear that Muslim women are the demographic H&M was aiming for. The collection dropped earlier in May in a flurry of press releases, just in time for Ramadan. All the models used in the collection are white or ethnically ambiguous, but the clothes themselves appear to have been influenced by Muslim cultures. The line sports several kaftans and Asian-printed pants sets. H&M is also paying Muslim influencers to sport the line. The problem is, the modest line looks like the clothes H&M already sells, complete with all the same roadblocks modest dressers already face. Women who fully cover their arms and legs will find that the H&M line doesn’t have much to offer them. They’re going to need to do the same layering and adjusting that they’ve always done. There are midi skirts and cropped pants abound in the collection, both of which are currently in style, but a bane to modest dressers who want to cover their legs to the ankle. None of this is to say that the H&M modest collection is immodest; only that cropped pants are already widely available in every department store from New York to L.A.
It’s great that kimonos and kaftans and midi dresses are back in style, but curating them into a special section on your site and calling it modest wear is disingenuous. H&M would be selling them anyway, alongside every other brand. They weren’t considering what Muslim women, or any other modest dresser, might be looking for in a line designed for them. Modest dressers already know how to layer so their bras don’t show through their button downs or their bare legs aren’t visible through the knee-length lining on their maxi dresses. And if modest dressers want to layer, they can do that with the clothes that are already available to them. In fact, the ingenuity of modest dressers has spawned products specifically to help them wear the clothes they find in department stores. Muslim-owned clothing shops offer spandex sleeves women can wear to cover their forearms when wearing a large sleeve, or to extend the coverage of a shorter sleeved top. Jewish shops have been offering “shells” for decades, fitted tops of different cuts – some sleeveless, some hemmed short like a crop top – so Jewish women can cover their collarbones and upper arms without the inconvenience of an entire long-sleeved top underneath. And long before the first burkini, modest-dressing Christians were making swim dresses that fit their standards when they couldn’t find anything in stores. It would be impossible to create a modest clothing line that met everyone’s standards, but no matter what, the line shouldn’t create more work for the customer. Nobody needs another sheer dress shirt. Companies have come to realize that Muslim women wear clothes and have money, and the slow but steady inclusion of hijabis in ad campaigns over the last few years is one of the ways they’ve tried to appear inclusive and lure Muslim women’s dollars. The modest line is just the latest iteration of this. with the women they hoped would be wearing their clothes first.